Many of our passengers have put some really lovely photos of our Bruges balloon adventures on tripadvisor. Take a look here. Balloon season Bruges to open on 3rd of April 2019. 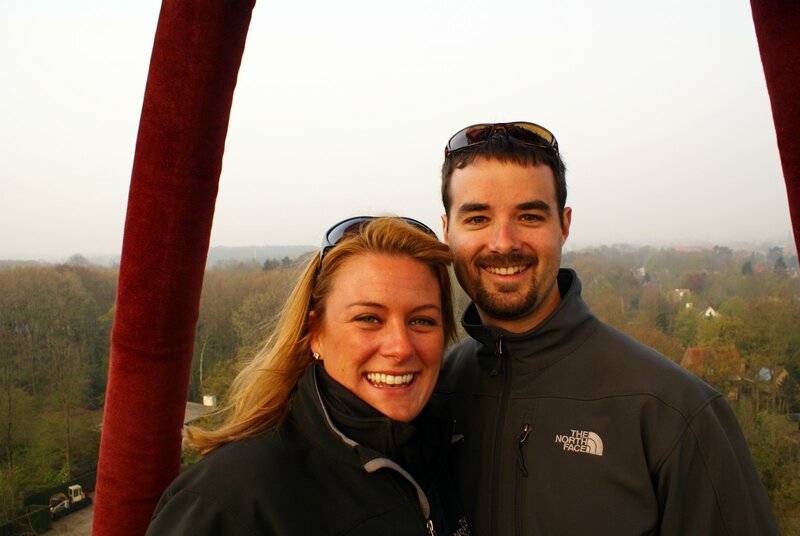 We hope to offer this magical balloon tour over Bruges, Belgium in the same lovely weather conditions as last year. Happy Christmas & New Year 2019 to everyone ! Bruges flights: pick up from your hotel, and return after the flight. Pre-flight safety briefing by your pilot in command. 1 hour sightseeing flight, just you two and the pilot. Total duration of event appr. 4 hours. Morning flights: breakfast upon landing included; we serve croissants with tea or coffee, and some Belgian delicacies. Evening flights: special treat with Belgian specialties after landing ! If you fancy an original Valentine's present, give a very special gift or maybe propose to your partner,...this is your flight! Questions and answers by your pilot. Feel free to ask what you want, whenever you want. Passengers insurance throughout the flight.